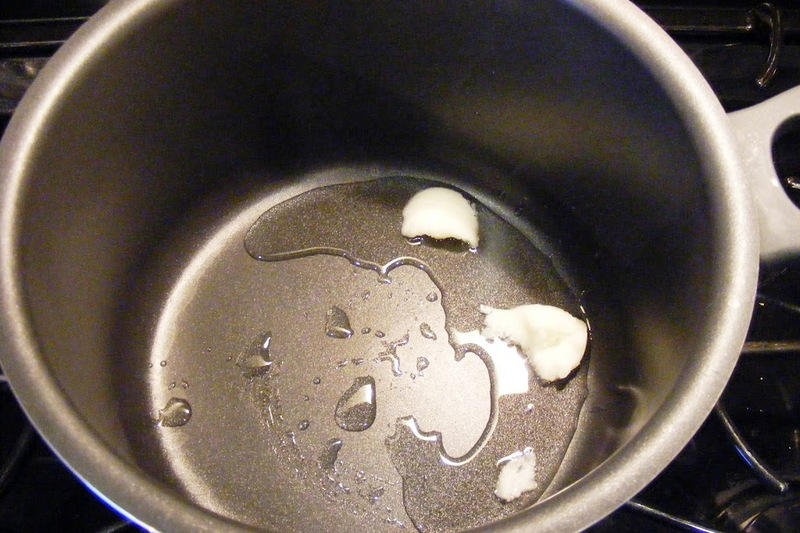 I use a 4 quart non-stick sauce pan. 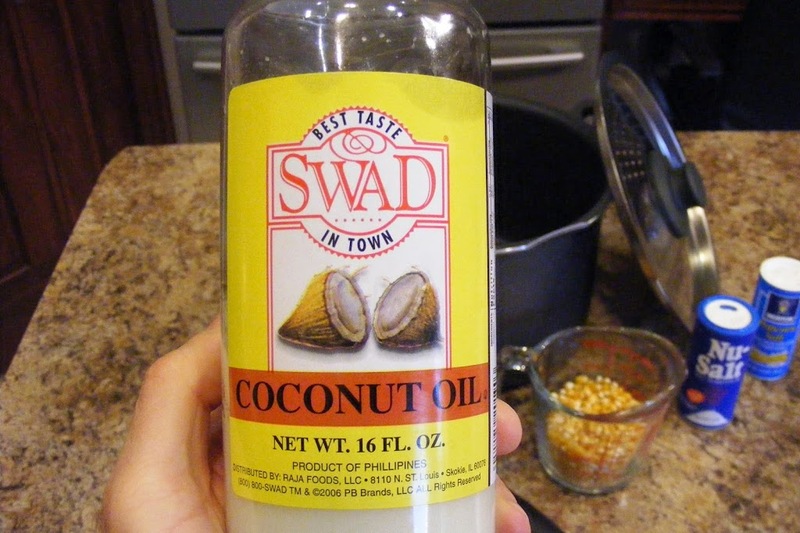 You can use any oil you want. 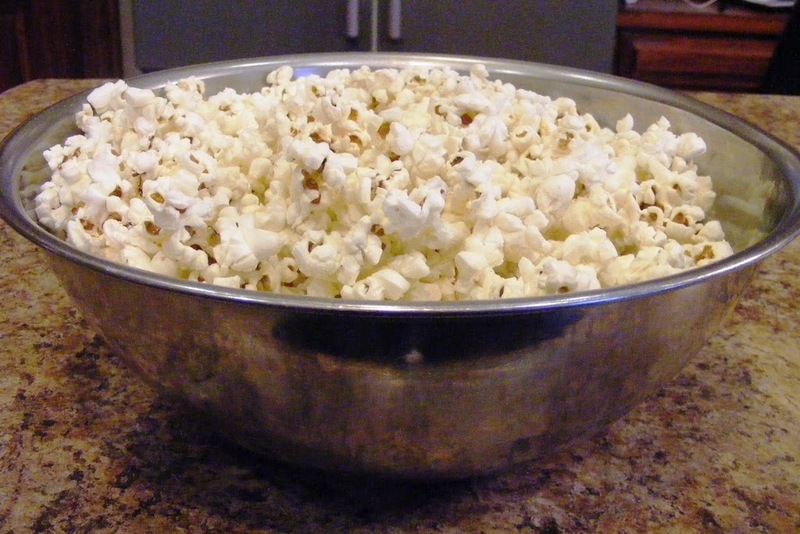 Coconut oil is more expensive than canola or even olive oil, but the flavor it gives to popcorn is incomparable. Ah, the beauty of melting fat. Doing what my Mom taught me. 2. 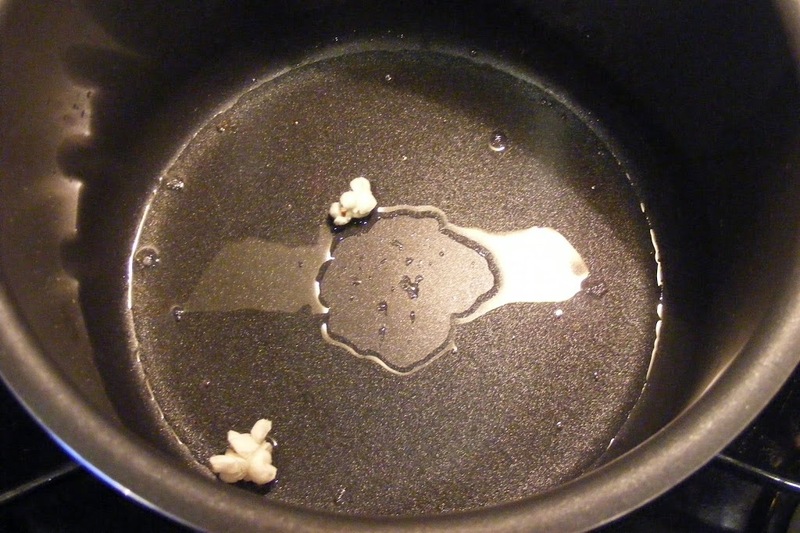 Add popcorn to oil. 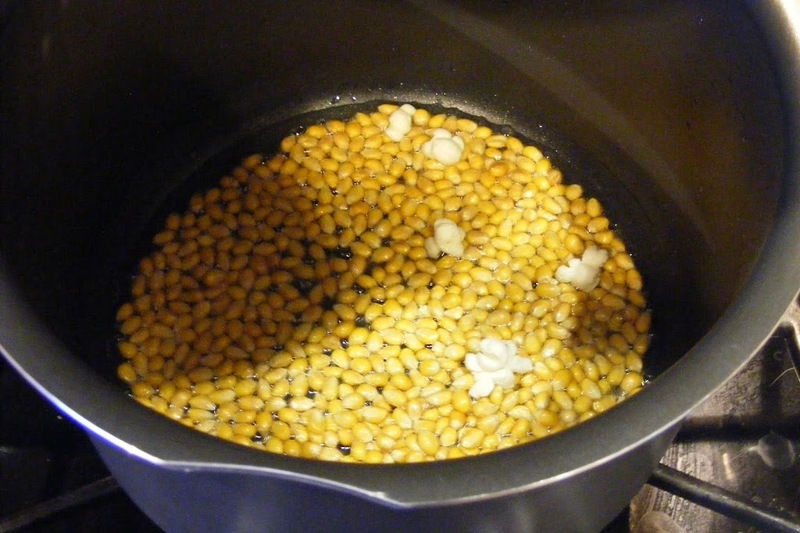 The corn should be an even single layer across the bottom. 3. 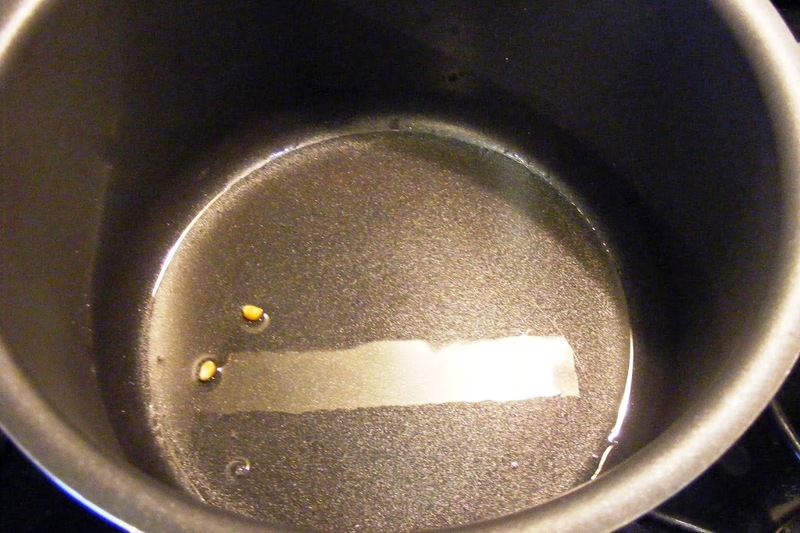 Return lid to pan. 4. 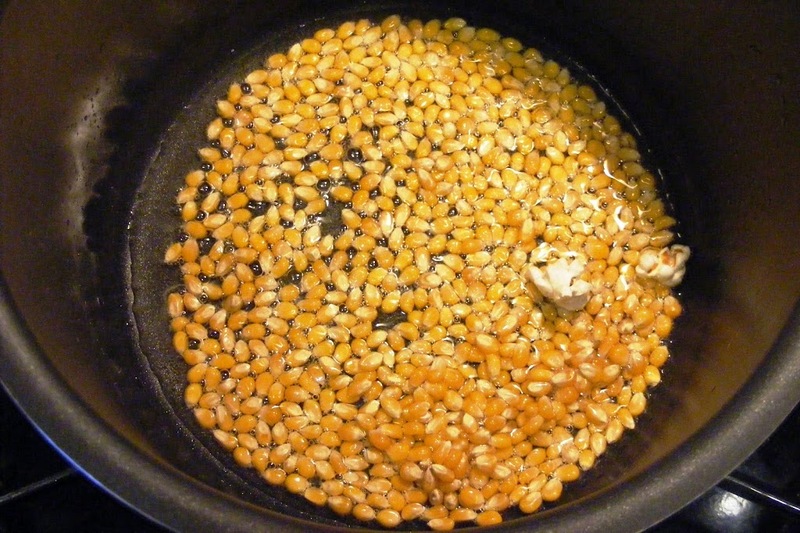 When the popping starts, pay close attention and shake frequently. Once popping begins, it will be finished in about 1 minute. 5. Shake frequently while actively popping. 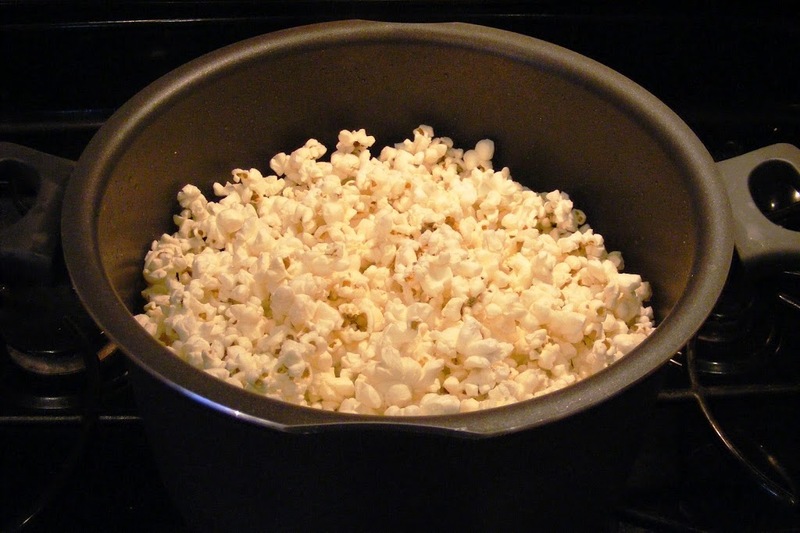 Shaking helps the unpopped kernels drop to the bottom and pop, while moving the popped corn to the top to avoid burning. 6. 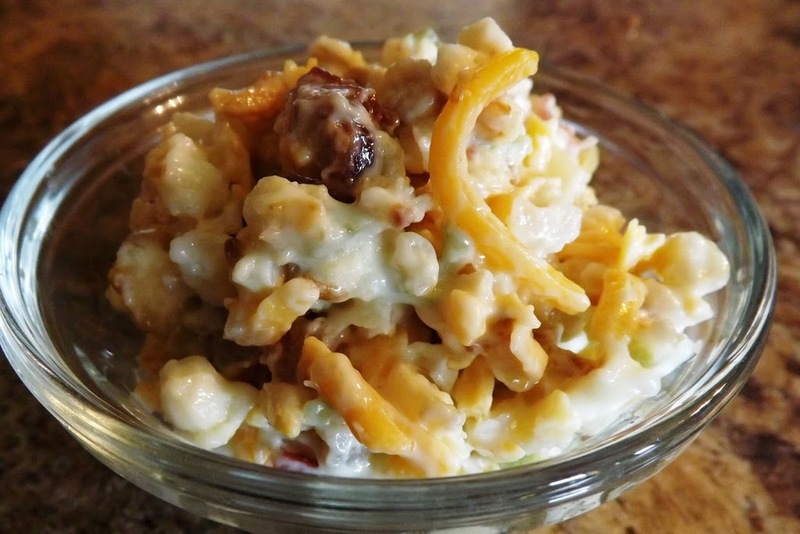 Pour into a large bowl and season as desired. 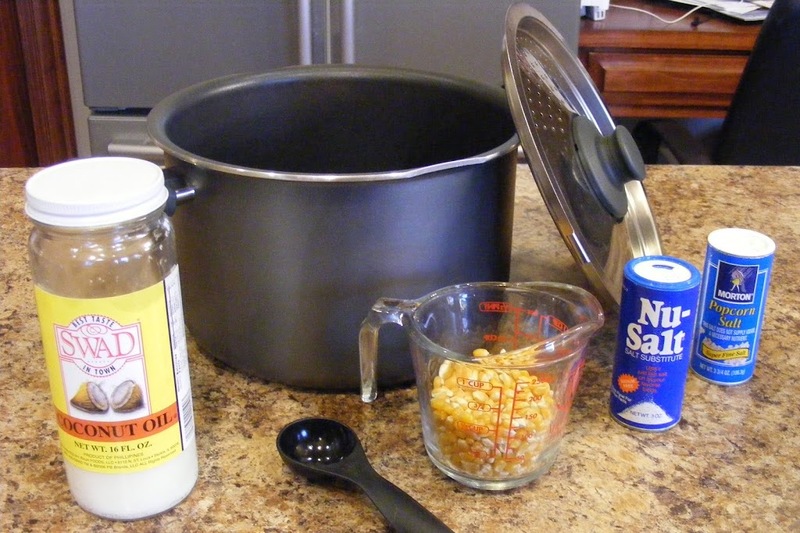 My wife prefers a combination of popcorn salt and “Nu-Salt”, a sodium-free salt. 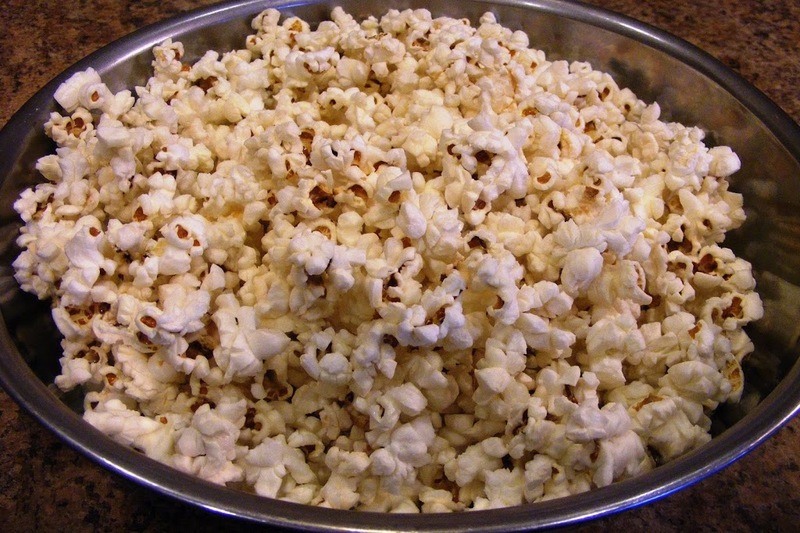 Delicious popcorn, fresh and hot. 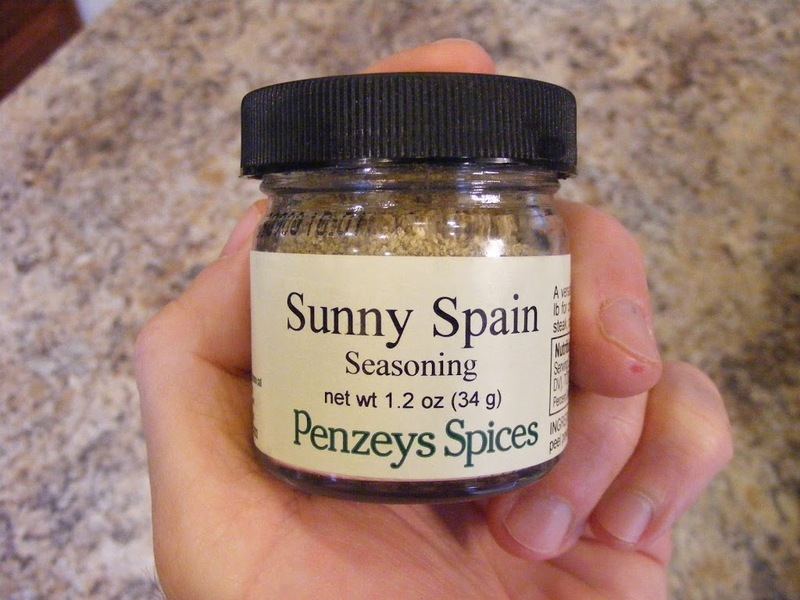 which is a salt-free blend of black Telicherry pepper, onion, garlic and lemon peel powders, and citric acid.